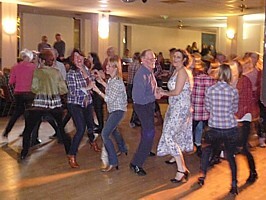 The National Botanic Garden of Wales will see wagons rolling into town this Saturday as the Nolan Charity Fund hosts it’s first charity barn dance. The event, kindly sponsored by Castell Howell Foods, will welcome more than 100 guests who will be entertained by ceilidh, twmpath and barn dance band Pluck & Squeeze from Cardiff. The fundraising event will raise money for local causes in Wales, including Alzheimer’s Society Cymru, who are this year’s Charity of the Year. A raffle and charity auction will also be held on the evening to raise vital funds. A number of local businesses have kindly donated prizes and thanks go to Xcel Bowl Carmarthen, Newport Sands Pembrokeshire, Bluestone Spa and Experience Days for donating prizes. The Nolan Charity Fund were welcomed by teachers and pupils of Ysgol Saron on 18 July 2017 to see how funds donated to the Ammanford school have been spent purchasing much needed IT and play equipment for two pupils at the primary school. On arriving at the school, the charity’s trustees Nolan Nicholas, Robert Taylor and Dawn Morgan were welcomed with a rousing rendition of Abba as the Year 6 pupils rehearsed for their end of year show. Ysgol Saron were one of 11 beneficiaries to receive a share of £15,000 from the Nolan Charity Fund earlier this year. The donation of £2,000 has purchased a wealth of interactive play and IT equipment for pupils Jake Abrahams who has Duchenne Muscular Dystrophy and Tilly Roberts Foster who has Down Syndrome. Pictured with the specialist equipment are, front row (l-r): pupils Angharad-Fflur Scourfield, Abigail Ranking, Robert Heaney and Adam Jones, and back row (l-r): teacher Catherine Evans, Nolan Nicholas, Jake Abrahams, Robert Taylor, head teacher Gwenda Easton and Dawn Morgan. “The money awarded to Ysgol Saron will be used to further develop speech and language skills and fine motor skills of two pupils in our school, one with Duchenne Muscular Dystrophy and the other with Down Syndrome. “We have received such a warm welcome from the teachers and pupils of Ysgol Saron today. I was delighted to have been able to award the school funding back in April and it is a pleasure to be invited here today to see what the money has bought and to meet Jake. Ty Perthyn, Alzheimer’s Society Cymru’s Day Centre service, in Ammanford which supports people affected by dementia, has reopened its doors after threat of closure following an increase in rental costs. To ensure the day care service could continue, the decision was made to relocate to the shared office space used by the local Alzheimer’s Society Cymru Operations team. The move involved reconfiguring the existing office space to create two new rooms to deliver the service but at an additional cost to the charity. The Nolan Charity Fund, who chose the Society as a partner earlier this year, stepped in to make sure the refurbishment took place and people with dementia still had access to this vital service. Sarah Cleevely, Fundraising & Events Manager for The Nolan Charity Fund said; “The Nolan Charity Fund is delighted to be working with Alzheimer’s Society Cymru this year. Having heard about the need to relocate the charity’s day support service at Ty Perthyn, our trustees were delighted to step in and start our year-long charity partnership with a donation of £2,500, which has gone directly towards the refurbishment to relocate the much-needed service to its new location. “We’re so grateful to The Nolan Charity Fund for getting involved and covering costs of the refurbishment for the day care service in Ammanford. Thanks to their support this vital service will continue from its new location. The Nolan Charity Fund has donated £1,400 to Welsh Hearts to provide life-saving equipment to the community of Carmarthenshire. The new defibrillator and cabinet was presented to Carmarthen Quins RFC at their junior ground in Abergwili on 4th July by Welsh Hearts Charity Director Sharon Owen. Welsh Hearts and the Nolan Charity Fund wanted the people of Carmarthen to decide where they thought the equipment was needed the most. Following a short public campaign the votes were counted and it was clear that there was an overwhelming response for Carmarthen Quins RFC to receive the equipment. The chosen location was announced at the Nolan Charity Fund’s presentation evening on 6th April, where alongside Welsh Hearts, a further 10 beneficiaries received funding from the charity. As the equipment was handed over in the presence of Mr Brian Jones, M.B.E. President of Carmarthen Quins RFC, Nolan Nicholas, founder and trustee of the Nolan Charity Fund, Robert Taylor, Trustee Nolan Charity Fund, and Janet Bevans, Trustee Welsh Hearts, essential, lifesaving CPR & Defibrillator training was delivered to First, Youth and Junior teams plus family members and club volunteers. The training will be expanded with further sessions held to include the local community. Sharon Owen, Welsh Hearts Charity Director said: “ We are delighted to have been supported by the Nolan Charity Fund. Each year, in Wales, approximately 8,000 people suffer a sudden cardiac arrest outside of hospital. Without immediate attention, the chances of survival are around 3%. If CPR is performed and a defibrillator used within the first few minutes, the survival rate can be better than 50%. The Nolan Charity Fund was set up by Nolan uPVC managing director Nolan Nicholas with the aim of working hand in hand with worthy causes in Wales. Through money raised, the Nolan Charity Fund has been able to award grants to local charities, organisations and individuals requiring financial support. Welsh Hearts, the leading heart charity for Wales provide communities with public access defibrillators and hold free CPR training & Heart Screening sessions to young adults across the whole of Wales. The Nolan Charity Fund is looking for fearless fundraisers to take on a charity fire walk in Carmarthen Park on Sunday 2nd July. Participants will get expert tuition from two-time Guinness World Record holder Scott Bell who holds the record for the ‘Greatest Fire Walking Distance’ by walking 328 feet on burning coals, but don’t worry, anyone who signs up to take part only needs to walk 15 feet across soft smouldering hot coals after a one hour seminar from Scott where he will explain the history of fire walking and the technique behind it. This is a great mind-over-matter challenge and a great fundraiser for charity. The event will raise money for the Nolan Charity Fund to help worthy causes in Wales with financial support, alongside raising funds for its charity of the year, Alzheimer’s Society Cymru. The Nolan Charity Fund has so far donated over £25,000 and helped nearly 20 organisations with financial support in Wales since it began in 2015. In Carmarthenshire, Alzheimer’s Society Cymru, Myrddin Special Unit, Canolfan Elfed, Ysgol Saron, Nofio Sir Gar, Plant Dewi and the Carmarthenshire County Council Youth Support Service have already benefited from grants from the charity. To register for this popular event, email [email protected] or call 07966 426439. Registration is £25 per person and the charity asks participants to raise a minimum of £75 in sponsorship. Places are limited. The Nolan Charity Fund has extended a helping hand to Alzheimer’s Society Cymru and chosen the UK’s leading dementia charity as its ‘Charity of the Year’ for 2017. The year-long charity partnership has begun with a donation of £2,500, which Alzheimer’s Society Cymru will use to fund the relocation of Tŷ Perthyn Day Support Service in Ammanford. The service is to be relocated due to increased rental costs and its new home requires some structural work to ensure the safety of clients using the facility and to make the environment more dementia-friendly for when it reopens on Tuesday 18 April. “I am delighted that we will be helping to support Alzheimer’s Society Cymru in 2017. The work that they do is vitally important in the local community and for those living with dementia. Over the next 12 months the two charities will work together to raise funds for the Live Well with Dementia programme and the charity’s flagship Side by Side service. Five dare-devils took up the challenge at the beginning of the month and successfully completed a tandem skydive with Skydive Swansea over Swansea Bay. Blessed with clear blue skies, all five jumpers left the plane at 12,000ft, and after the 45-second free-fall were safely back on the ground 5 minutes later. Thank you to Shaun Fitzpatrick, John Morris, Jackie Scarfe, Catherine Morse and Sarah Cleevely for ‘Freefalling for the Fund’ and so far raising £1,650. Just before the end of the year, Myrddin Special Unit took delivery of their much anticipated new minibus from The Lord’s Taverners. The arrival of the new bus was marked by pupils taking part in their Christmas performance for more than 100 parents and guests. Thanks to the kind donation from the Nolan Charity Fund as well as funding from many other businesses and individuals, the special unit was able to raise the £15,000 needed towards the £58,000 wheelchair accessible bus. “The show was fab, and a good time was had by all. The Mayor of Carmarthen was also present, and he was amazed at the state of the art vehicle; especially the interior mood lighting.